Funkmaster V's Uptown Cabs of Renown: Governor Funk! 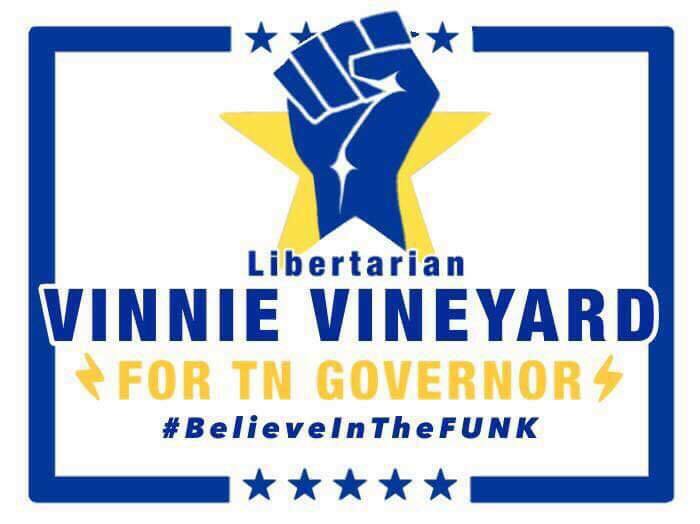 Entertainer Funkmaster V​ is running for TN State Governor... but why? First, he wants to provide an option for Tennessee voters who want representation that will advance the agendas of peace, liberty, common sense, smaller government, and freedom. Secondly, its to bring awareness to a ballot access nightmare in the state of Tennessee. Public servants that want to run as a Democrat, Independent, or Republican, need only 25 signatures to be recognized by their party affiliation, all other parties this year need more than 33,000. This simply isn't fair, and it needs to change. 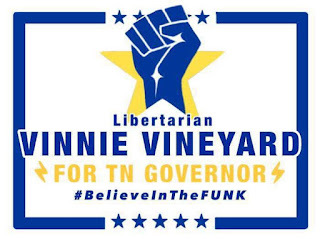 Vinnie Vineyard will be on the ballot as an independent. But, he is not an independent, he is a Libertarian. Get on the Funk train!